cakewrecks.com is a close approximation. I'm still on my low-cal prepared meal plan and it's going pretty well. By "pretty well" I mean I have yet to wake up to find myself sharing a bed with one or more pizza boxes. I seem to have leveled out emotionally from the initial few weeks. I'm not letting the little things get to me as much and my fuse seems to be returning to normal length. And those intense cravings spells triggered by television commercials have subsided. I find turning the TV off after Jeopardy and going to bed before dark helps. I'm gradually reintroducing myself into the social scene, and all of its temptations and emotional triggers. Last weekend I accepted an invitation to a birthday party. I had no idea what to get one-year-old, so I showed up with a card stuffed with cash. And, because I knew there'd undoubtably be lots of children, a 12-pack of beer. Fortunately the mom is a bit of a health nut so there were plenty of veggies for snacking. 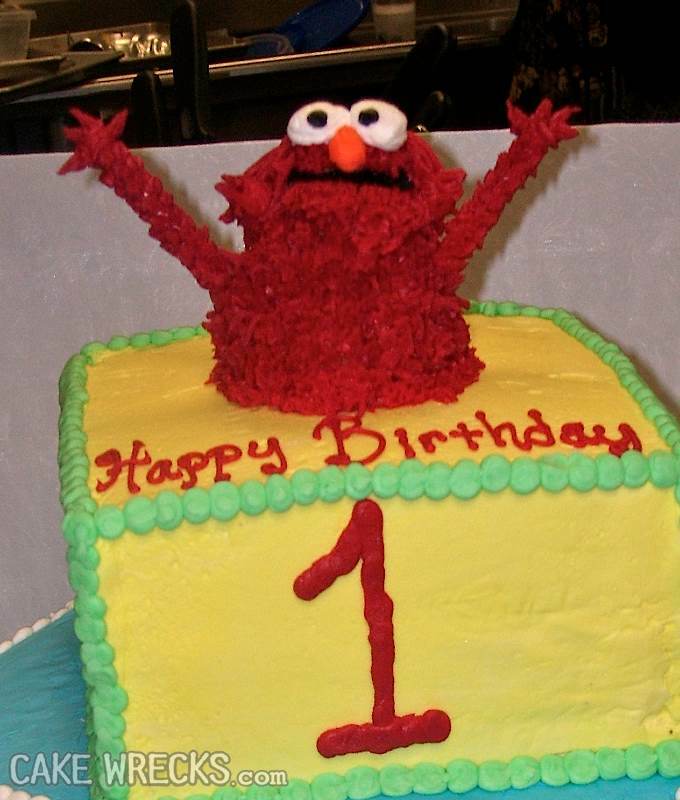 The disturbing, Elmo-themed cake never once tempted me, even when paired with ice cream. As I added my Miller 64 to the ice chest full of seasonal microbrews, the dads in attendance made fun of my watered-down factory beer. But I noticed it was all drank up before I could get a fourth bottle, while the "caramel apple" and "pumpkin spice" beers went largely untouched. I became the most popular guy in the house when I volunteered to help the children apply their temporary tattoos. Some of the kids understood when I explained that – when it comes to ink – quality is far more important than quantity. But most of them didn't. I had fun guessing which kids are going to cause their folks the most trouble in 10 to 15 years. The next morning I awoke with no regrets. 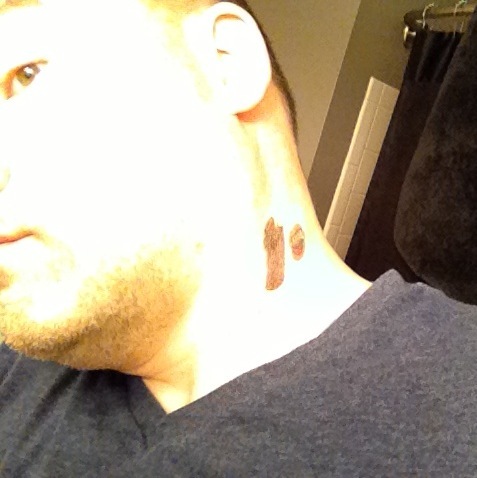 Except maybe that Oscar the Grouch tattoo on my neck. Does that symbolize that you shanked a grouch? If it's snarky and in my trash, I shank it.